My article titled “We Love Sales But Not Sales Tax” is included in the 2014 edition of Writers Digest Guide to Self Publishing. A law requiring businesses collect sales tax on purchases made by Illinois residents over the internet was invalidated by the Illinois Supreme Court. 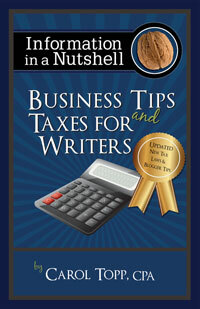 An author asks how she should collect sales tax from her sales to book distributors such as Amazon, BN.com and Ingram.